Q: “What is the most surprising problem or question you have encountered when working with top-level pros?” Larry of Baltimore, MD. A: Believe it or not, it has to do with math. Many top-level pros agonize over shots when they find themselves between clubs, then try to adjust their swing for the one they choose. I ask them, “How comfortable are you with a 15-foot putt?” Most reply that a 15-foot putt is very workable. Then I ask for their distance “gap” between clubs. Most say about 10 yards. I point out that for a shot exactly in the middle of that gap between clubs, if they take the shorter one, they end up 5 yards short, and the longer one leaves them 5 yards past. They acknowledge that, but aren’t happy being that far away. Then I ask the math question: “How many feet are in 5 yards?” They’re shocked to realize it’s just 15 feet! Since that means either club will leave them a 15-foot putt, they realize how unnecessary it is to agonize over the choice. Simply decide whether it’s better to be short of or past the hole, choose the appropriate club and make an ordinary swing. Don’t try to push to reach the hole, or take something off the shot to get close. You’ll hit more consistent, more accurate shots, and leave yourself makeable putts with either club. Perfectionism is an obstacle to peak performance both in golf and in the workplace. We put so much pressure on ourselves in golf, and on ourselves and our associates in business, that we can’t relax and enjoy what we’re doing. Reframe the definition of success to leave more room for a range of acceptable results, and you’ll be happier in golf and at your job. 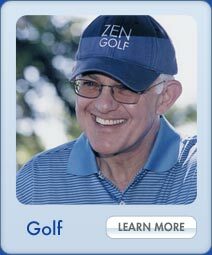 People say lessons from ZEN GOLF translate to all facets of their lives. Whether it’s a pressure situation in a tournament or a stressful day at the office, our bodies and minds respond the same. Stress triggers two responses in human beings. 1) Energy moves up in our body, so we feel less grounded, less trusting of our intuition and have a feeling of being “in our head.” 2) Energy speeds up, largely from adrenaline, and everything seems to move faster, making us feel rushed and overwhelmed. Combine the two, and we get the sensation of our thoughts racing, we tend to make rash and often bad decisions. My advice is to apply Composure (one of the three Cs in my PAR Approach™: Preparation, Action and Response to results) by working with your breathing. Take full, slow breaths, and feel your energy settle with each exhalation. You’ll feel less in your head and more in your body; everything will start to slow down and feel more workable. It will also enhance your awareness. You expand your perspective, and the opportunity for insight into the situation, when you have more awareness of your environment, the present moment and your state of mind. 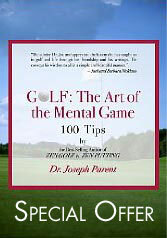 Click here to listen to “Cultivating and Strengthening Awareness,” a five minute excerpt from the ZEN GOLF Audio-book. 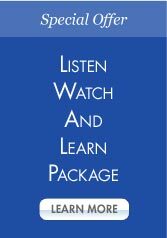 For 24/7 access to all of Dr. Parent’s streaming instructional materials, click here for our Listen, Watch & Learn package. Skype™ is one of my favorite communication tools. 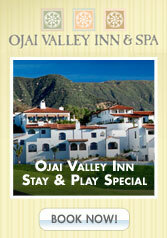 It allows me to perform executive, life, and even golf coaching with anyone in the world. I’ve done Skype sessions with people on every continent (except Antarctica): all across the U.S., from Australia to Nova Scotia, from Scotland to Singapore, from Japan to Dubai. There’s also a video conferencing function that provides an almost-in-person dimension. I’ve been able to work with people’s posture for mindfulness practice in executive and life coaching, as well as help golfers with their set-up and putting stroke. A real bonus with Skype is that it’s free between Skype users on an electronic device. And when I have to call someone’s telephone, that service is provided at a very low rate, even for international calls. 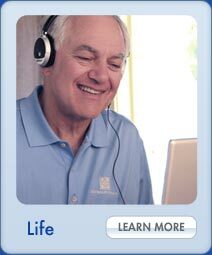 Click here to schedule your Skype session with Dr. Joe. 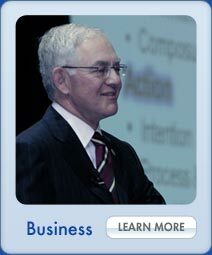 Dr. Joe offers executive coaching and life-coaching as well as golf lessons – by phone, video (via Skype), and in person. Click here for more information or to schedule a session. “Drive for show, putt for dough!” We’ve all heard that old adage, and the current #1 player in the world, Luke Donald, is the poster boy for this traditional gem of golfing wisdom. Tied for 151st on the PGA Tour for average driving distance, a full 34 yards behind J.B. Holmes, Luke is ranked #1 in three-putt avoidance, with only 13 three-putts in 1,134 holes for a 1.15% rating (i.e., he averages one three-putt every 87 holes). That is well ahead of second place in that stat, Fredrik Jacobsen, who three-putts once every 57 holes. Luke’s latest streak: 434 holes without a three-putt.